The Competition and Consumer Protection Commission has called for the regulation of Ireland’s waste collection market amid concerns over a lack of competition in the sector. The recommendation was part of the group’s report into the waste collection market following a request by Minister for the Environment Denis Naughten. Usually, competition brings benefits for householders and businesses, as consumers have a choice of services and can change provider if they want. 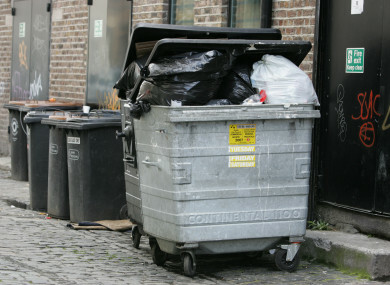 However, the report found that the Irish waste collection market exhibits the characteristics of “a natural monopoly”, in which just 15% of those with a choice of waste collection provider have ever switched. It also found that the average home now pays €230-€280 a year in waste collection charges. “However, in reality, the domestic waste collection market in Ireland is highly concentrated and becoming increasingly so. The CCPC report also recommended that the Government reviewed its policy document, “A Resource Opportunity: Waste Management Policy in Ireland”, while it also said the State should ensure its resources were co-ordinated to deliver better market outcomes. Minister Denis Naughten welcomed the publication the report, saying it supported his abolition of flat rate fees, which took 19 years to be implemented. “I welcome the fact that the CCPC does not call for a one size fits all type regulatory approach and that based on data collection and consultation, different competition models can be introduced for different geographic areas,” he said. Email “'Consumers have little or no power': CCPC expresses concerns over unregulated Irish waste market”. Feedback on “'Consumers have little or no power': CCPC expresses concerns over unregulated Irish waste market”.